The Echo ® MegaLoop ™ induction room loop system is for television, DVD or HiFi listening in the home, for people who have a hearing aid with a telecoil “T” setting. Echo ® MegaLoop ™ is a powerful and extremely flexible induction loop amplifier designed with an exclusive background noise control. Product code: 901-1010-01. Category: Induction Loop Systems. Tag: Induction Loops. The Echo ® MegaLoop ™ induction loop system is for television, DVD or HiFi listening in the home, for people who have a hearing aid with a telecoil “T” setting. 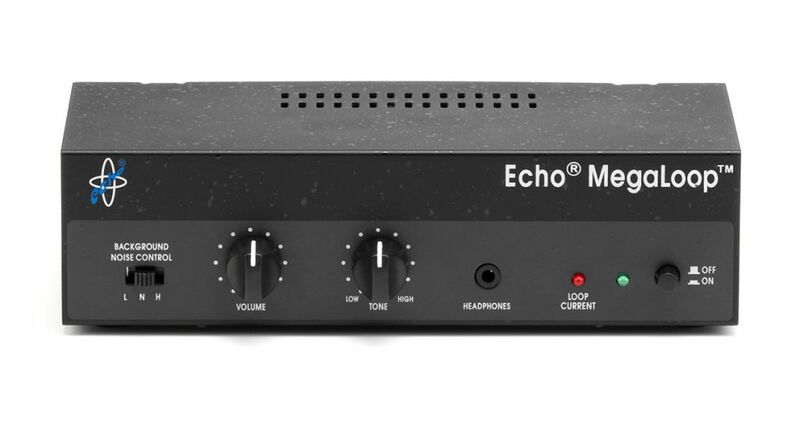 The Echo ® MegaLoop ™ is a powerful and extremely flexible induction loop amplifier designed with an exclusive background noise control. The Echo ® MegaLoop ™ boasts outstanding sound quality transmitting sound direct to your hearing aid. The greater range of clear undistorted power is almost twice that of previous systems. The improved signal strength allows the hearing aid to work at its optimum with a huge reduction in background noise. A highly active tone control circuit allows unparalleled adjustment of high and low tones. The Echo ® MegaLoop ™ takes sound from your T.V. or other sound source and converts it into a signal which is fed into a wire fitted in a continuous loop around the edges of the room. This signal can then be picked up by a hearing aid switched onto the “T” setting. The tone and volume can then be adjusted completely independently from that coming out of the TV speaker providing the best possible listening conditions. I have had this for a number of months and it was excellent. Now I have had to change my TV to a SMART TV and then there were problems. SMART TV’s do not AUX OUT as they are deemed old hat. So then you have to research how to connect HDMI ARC to your loop system. So then you have to spend a further £38.40 to get a analogue converter. Very helpful and easy to order a Megaloop system. It arrived quickly and was easy to set up and is now operating well. The BRAND NEW MegaLoop Pro ™ allows easy connection to most modern digital Television sets and now comes with REMOTE CONTROL. 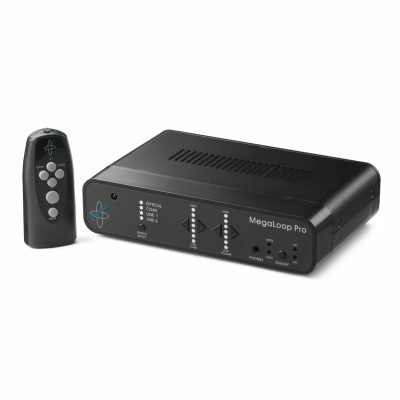 The MegaLoop Pro ™ System features an integrated Digital Audio Converter to connect to modern televisions using the digital optical output socket on the TV. 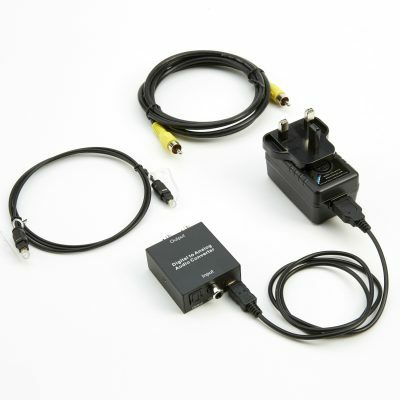 And it is simple to install using the Toslink Cable provided.